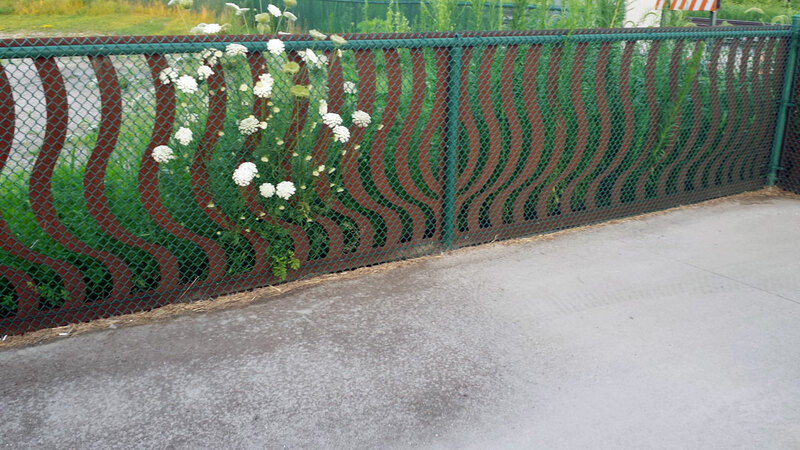 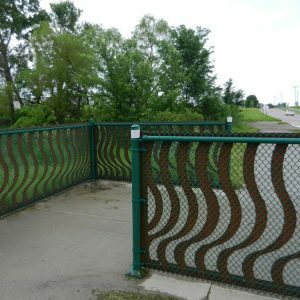 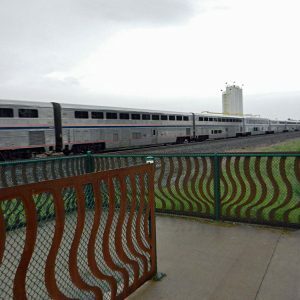 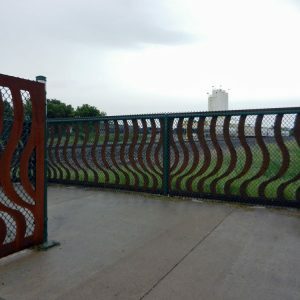 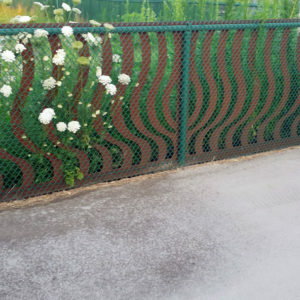 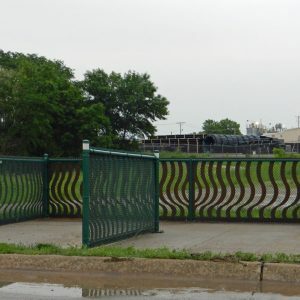 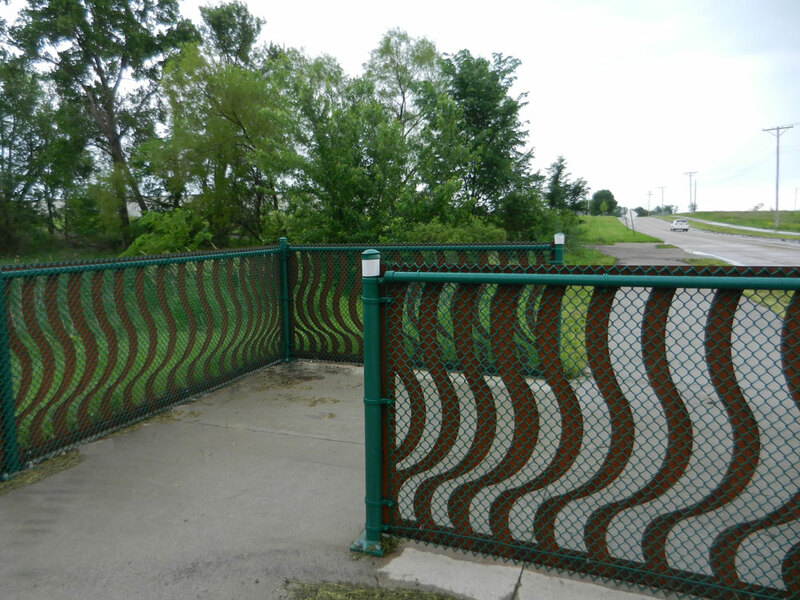 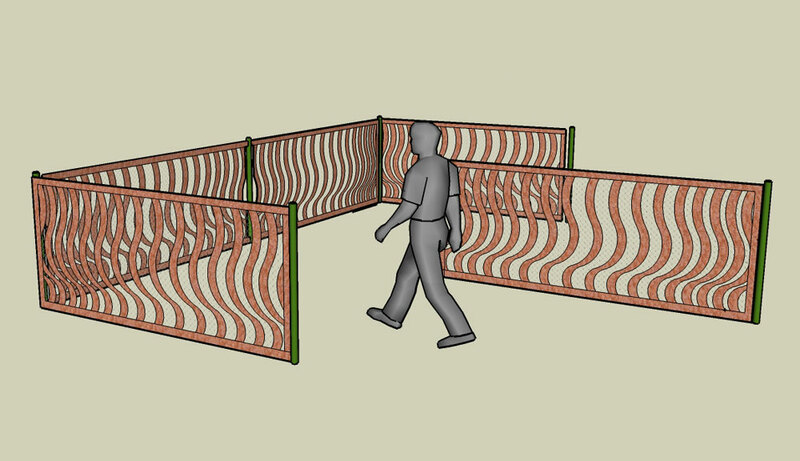 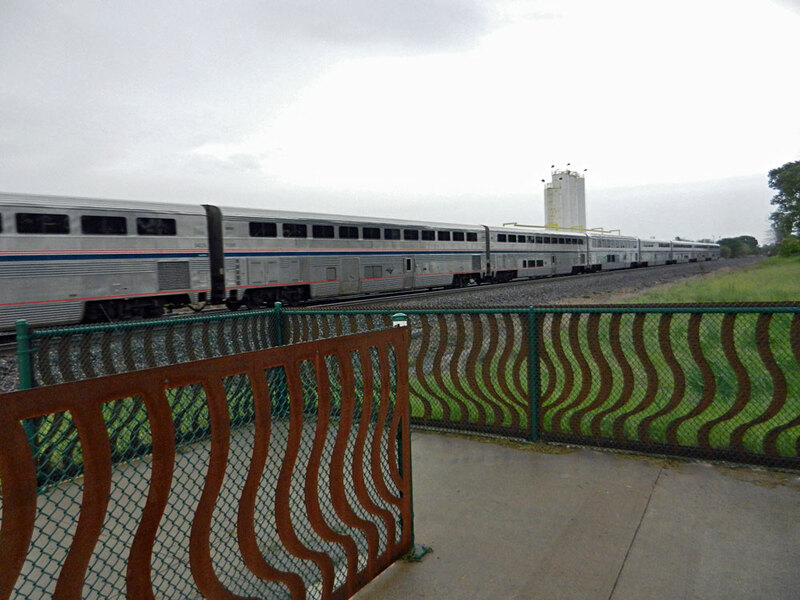 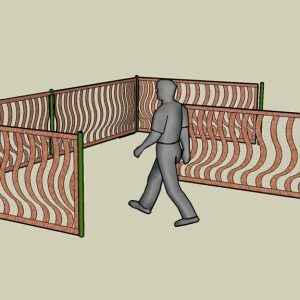 The artist designed enhancements of self-weathering steel which are mounted on the previously unadorned chain link safety “mazes” on both sides of the railroad tracks. 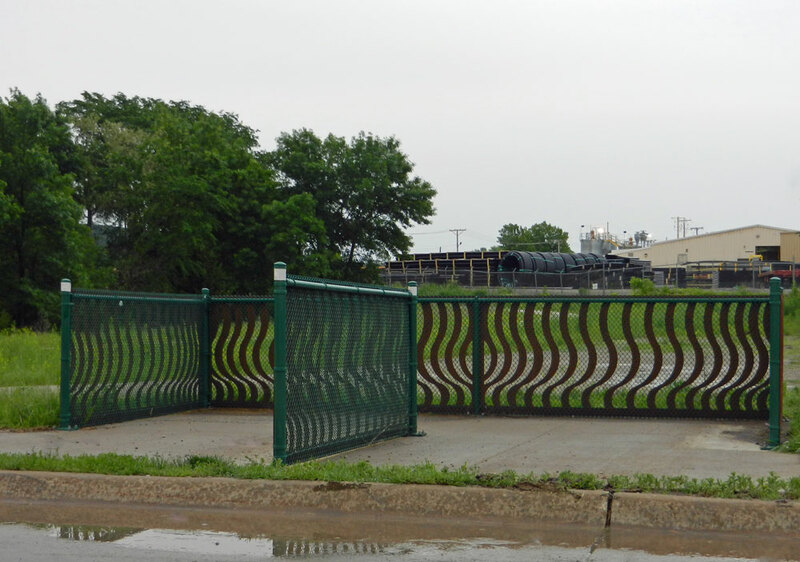 These simple structures cause pedestrians and bicyclists to look both ways before crossing the double tracks. 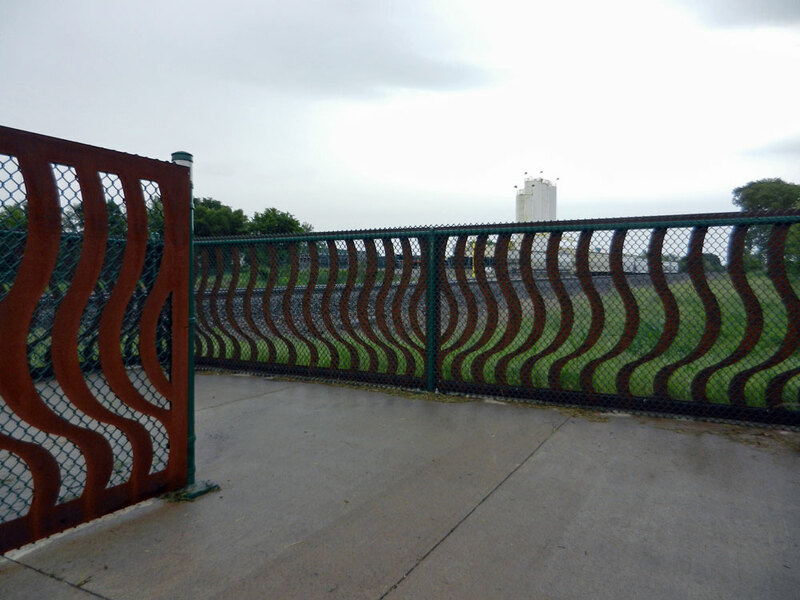 The design alludes to the Doppler effect, which describes the noticeable change in the frequency of sound when an object such as a train passes by a bystander. 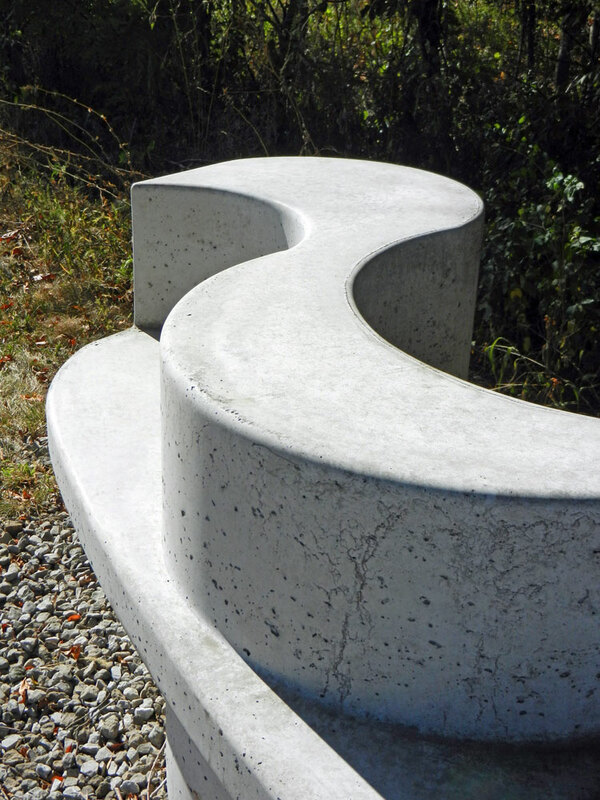 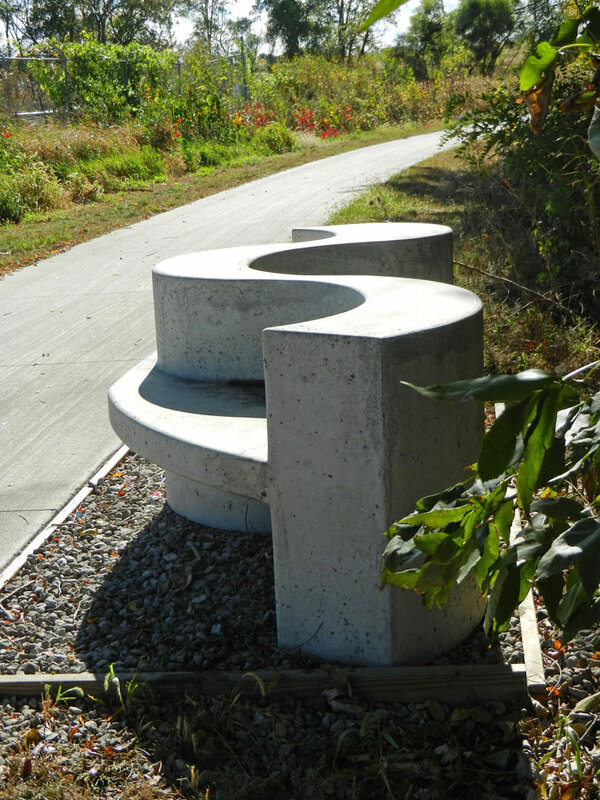 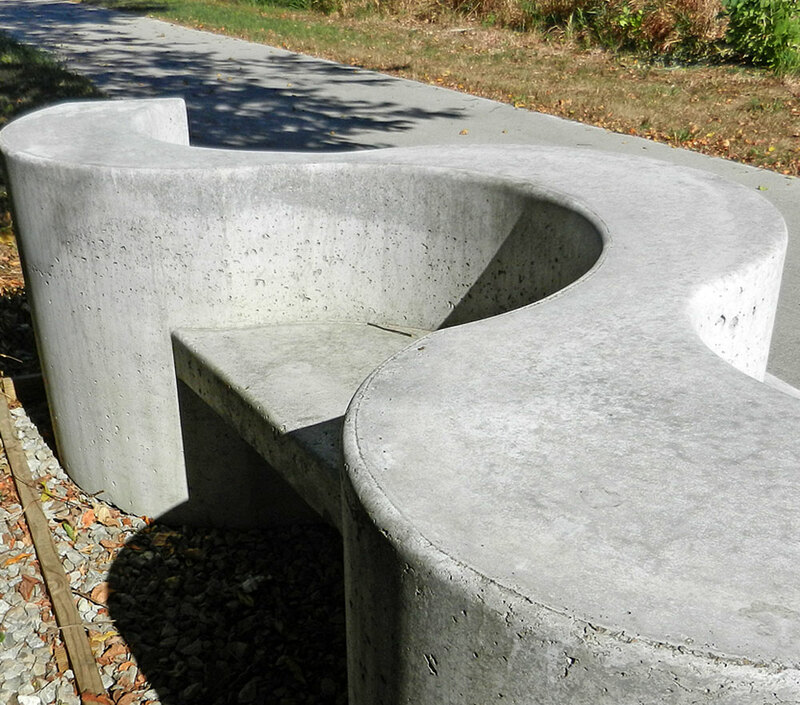 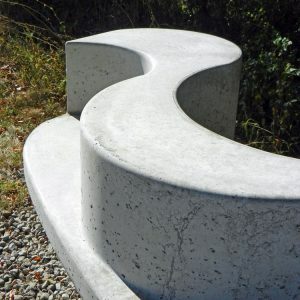 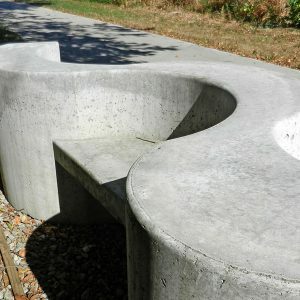 As the trail winds to the northeast from the Pedestrian Maze, a cast concrete bench is installed, a sister to the bench originally designed by the artist for the Matkin Plaza. 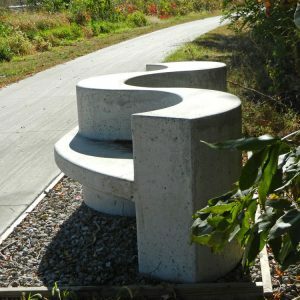 This gives the only seating on the Western Loop of the trail.